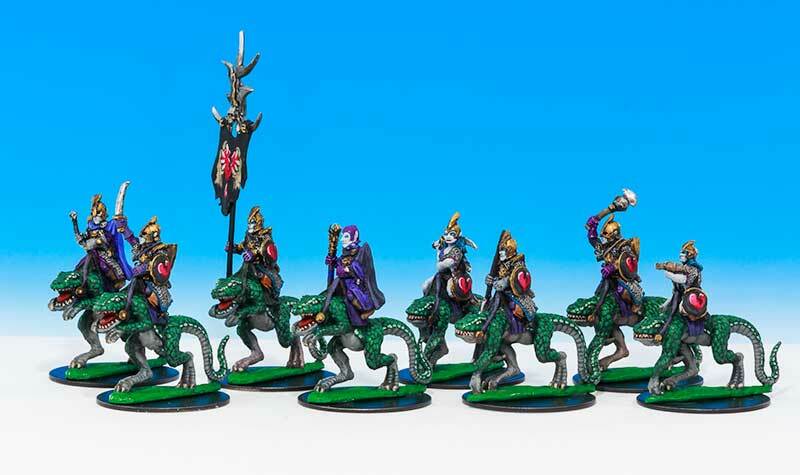 The first Dark Elves released were the SS3 Night Elf Patrol Speciality Set in October 1982. 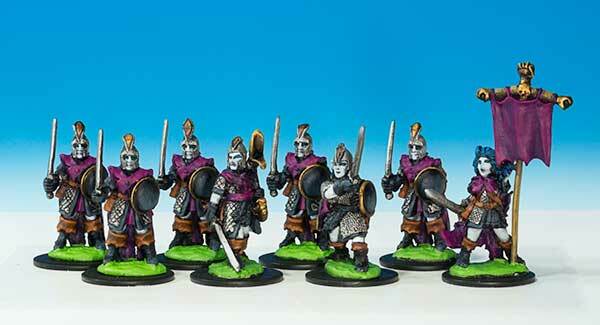 These were much smaller than the normal Citadel Elves, as was the Night Elf Lord released in the FTE range. I have included the C08 Elf Hero from Compendium One as a Dark Elf, as his equipment looks more like the later C08 ones, released in February 1984, than the later High or Wood Elves. 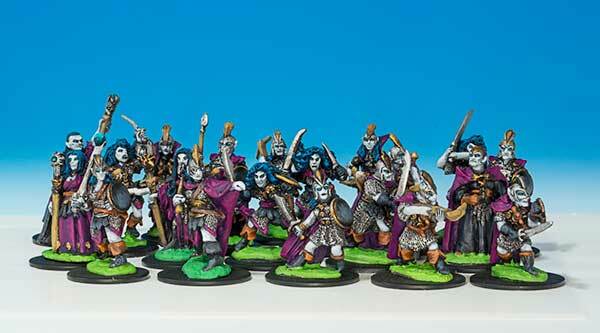 RR4 Mengil&apos;s Manhides, released in July 1984, were the last release of solid based Dark Elves. I have followed the names used in the CCMWiki Dark Elf Collectors guide from the RAFM listings, thanks for that work Heldrak.